Body odor, bad breath, smelly feet. At one time or another, we’ve all been plagued with a scent less fragrant than flowers. Never before have personal-care products been so well-stacked against stink. And when it comes to fighting foul odor fast, natural products do the job just as well as those more dependent on chemical ingredients. Here are some tips to protect against the most unpleasant of body odors using natural products. * Shower power: A shower is a great pick-me-up that can make you smell and feel fabulous. Ingredients like rosemary, cucumber and peppermint will awaken the senses. Aveda’s Rosemary Mint Hand and Body Wash is a gentle yet effective way to “come clean” without drying out your skin. * K.O. the B.O. : When it comes to deodorant, look for what is left out rather than what’s put in. Many deodorants contain aluminum chlorohydrate, an ingredient that is believed to clog underarm pores, and propylene glycol, which can cause skin irritation and allergic reactions. Try Nature’s Gate Organics Fruit Blend deodorants, which combine certified organic fruit, floral and herbal extracts with baking soda to neutralize odor. * Hair affair: Ingredients like ammonium sulfate are harsh and can strip hair of its natural oils, making it dry and brittle. Use a light and fresh shampoo like The Body Shop’s Nettle Oil Balance Shampoo, which helps reduce excess oil with nettle leaf, a natural astringent. Locks end up luscious, soft and clean. 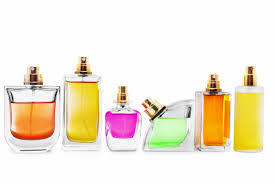 * “Scent-sible” scents: An all-day fragrance is one that’s subtle, not super strong. Fragrances that center around earth-inspired ingredients are enhancing without being overbearing. For hundreds of years, Acqua di Parma has offered a cologne that balances the natural sensuality of Sicilian citrus, lavender and Bulgarian rose.